At Cycle & Carriage, we take pride in the competence of our aftersales staff, who are well-trained and always kept up-to-date with the latest developments in the automotive industry. 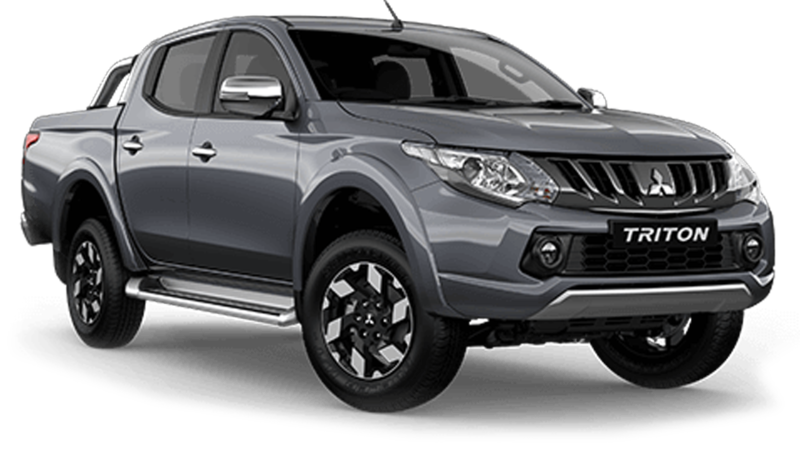 You can entrust your Mitsubishi to us as the latest recommended Mitsubishi Diagnostic System from the Manufacturer, Grade A genuine parts and right specifications of lubricants and consumables are used, so as to keep your vehicle running at its optimal condition. From the exterior to the interior, your vehicle will be well taken care of. Available at all Mitsubishi Authorised Service Centres with guaranteed turnaround time, or receive 30% off your final bill*! Using the correct engine oil keeps your engine running smoothly. Primarily, engine oil stops the metal surfaces in your engine from grinding together and wearing by creating a separating oil film between them. It also disperses heat and reduces wear, protecting the engine. On top of this, good engine oil prevents dirt build-up and deposits by keeping them in suspension. It can also protect against sludge and fights oxidation, minimising corrosion of your engine. New Shell Helix Ultra is formulated with exclusive Shell PurePlus Technology, a leading edge gas-to-liquid process that converts natural gas into crystal clear base oil. The base oil is 99.5% pure and contains no impurities, which helps to deliver ultimate cleansing effect and maximum performance in maintaining fuel economy. The unique combination of Shell PurePlus Technology with Active Cleansing Technology enables Shell Helix Ultra to deliver even higher levels of cleansing and protection, making it the most advanced motor oil ever. *Compared to conventional Group II and Group III base oils in sequence IIIG oxidation and piston deposit test. **Based on the M111 FE test compared with the industry reference oil. Fuel economy varies from 1.7% to 3% depending on the different vehicle types and the applied engine oil (e.g. up to 3% fuel economy with Shell Helix Ultra Professional AF 5W-30). Genuine parts will fit your vehicle as they are engineered to exacting standards as your vehicle – using the same blueprints, dies, tools and moulds used in the vehicle’s manufacturing process. Non-genuine parts may not fit properly as they serve a range of car models, which may cause problems to your vehicle later on. At Cycle & Carriage, we use only genuine parts from our Principal Marqués for your vehicles. Be absolutely assured of the reliability and durability of MitsubishiGenuine Parts. This is because genuine parts have been tested to ensure durability and performance, even under the most demanding conditions. Non-genuine parts require frequent servicing, repairs and even major engine overhauls. All these will only mean higher costs to you in the long run. All Mitsubishi genuine parts replacement and repairs come with 2-year or 40,000 km warranty, whichever comes first. Genuine parts always come with warranty, unlike non-genuine parts. For optimal performance of your vehicle, parts replacement is recommended as an important aspect in proper car maintenance. Cycle & Carriage ensures that our technicians go through proper and continuous training, combined with certifications following our principal guidelines. Our technicians recommend only the best solutions for your vehicle. 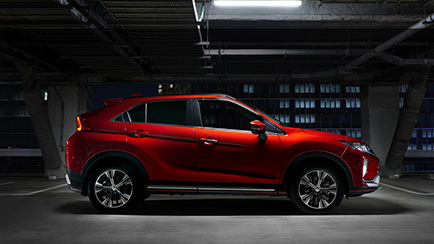 Mitsubishi Diagnostic System performs a full-service comprehensive check according to the manufacturer’s recommendations. Proper documentations and software updates are also provided for each vehicle. At Cycle & Carriage, we offer the most up-to-date diagnostic tools or systems for your peace of mind. Our night drop-off service allows you to send your cars in for servicing and maintenance after normal service hours, even at midnight! All you have to do is drive to any of our Authorised the Service Centres, fill up a simple form and hand it to the security post with the car key. No hassle at all. Cycle & Carriage offers a 5-year tyre warranty* from date of tyre purchase. Service is hassle-free as no appointment is needed. Enjoy free nitrogen gas conversion, lifetime nitrogen refill and tyre patching with purchase of 4 tyres, as well as a wide range of tyres to suit any kind of budget and needs. Our Service Centres are designed to provide you with a cosy and relaxing experience. Relax in our air conditioned lounge and enjoy complimentary snacks & refreshments, TV, magazines and newspapers while you wait for your car to be serviced. We provide complimentary car wash and vacuuming for servicing and repairs done. We also provide free carrier bags for your personal belongings. The Cycle & Carriage Body & Paint Centre is a full-fledged workshop that specialises in body and paintwork repairs. It is the appointed authorised workshop for many of our top motor insurers. Our friendly and professional staff will ensure that your repairs are hassle-free, from collision to completion. Our skilled technicians use a precise combination of their extensive training and experience with the latest technology to repair and restore your vehicle to its immaculate pre-accident condition. They are also trained to ensure that the works are carried out in accordance to the stringent quality standards set by the manufacturers.